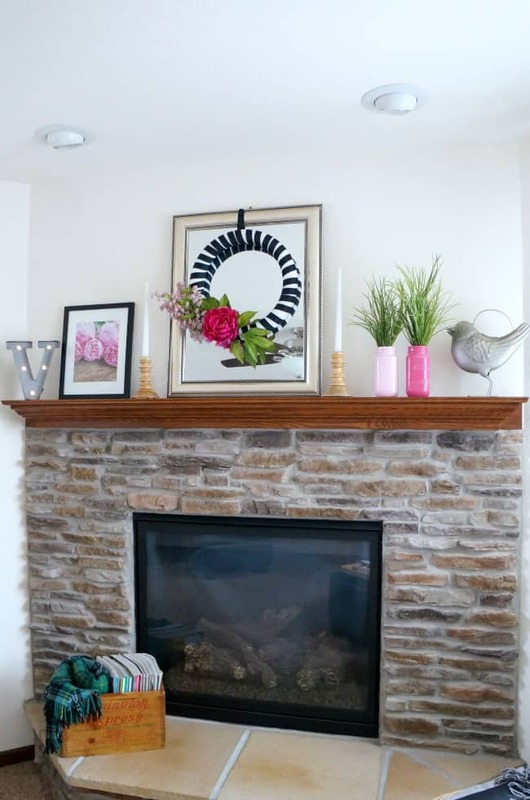 My Spring mantle is bright and bold this year, a pink black and white mantle perfect for the season ahead. 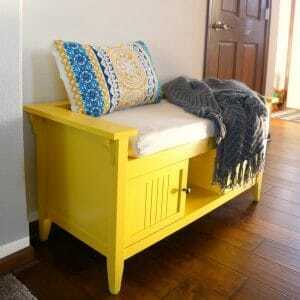 I used a few black and white pieces that are staples in my home, and added pops of pink with some easy DIY projects. I anchored my Spring mantle with 2 metal items I love, a pretty bird and marquee letter both of which make their way around my house year round. 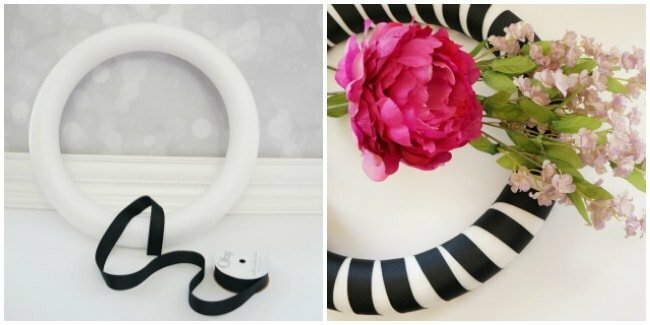 This bold black and white ribbon wrapped wreath is a new favorite and was so easy to make. 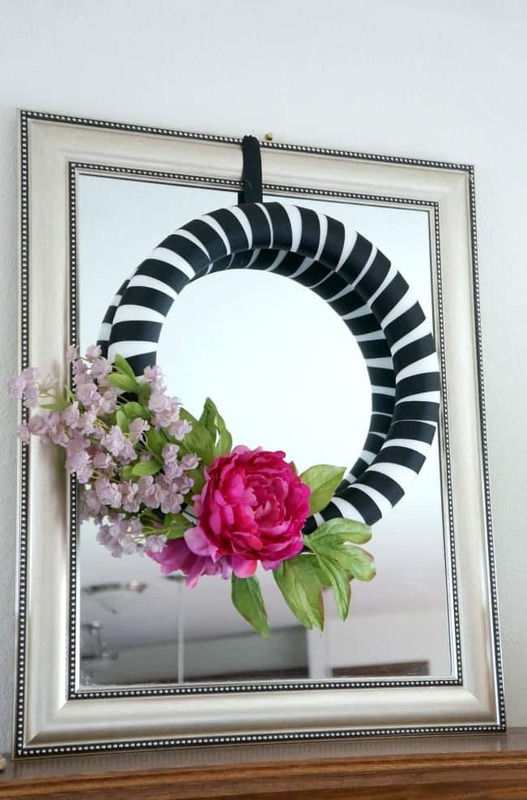 I wrapped a foam wreath in black ribbon and used hot glue to secure the ends. 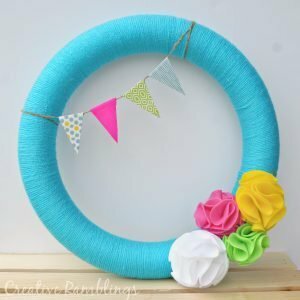 I picked up a few colorful flowers and used hot glue to adhere them directly to the wreath. 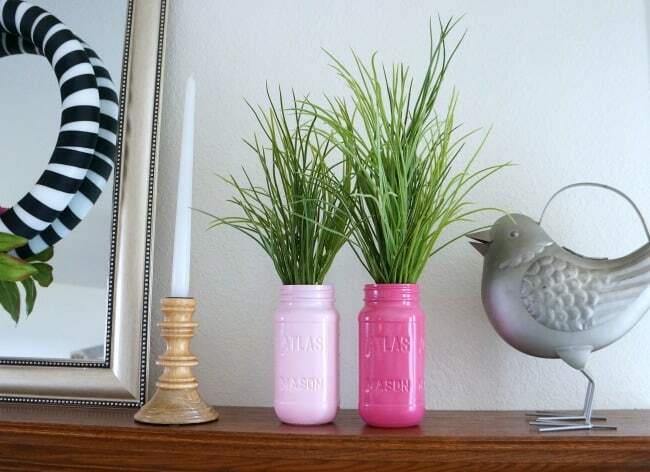 These pink jars were made from marinara sauce jars (I save all of these) that I spray painted two shades of pink and filled with faux green grass. 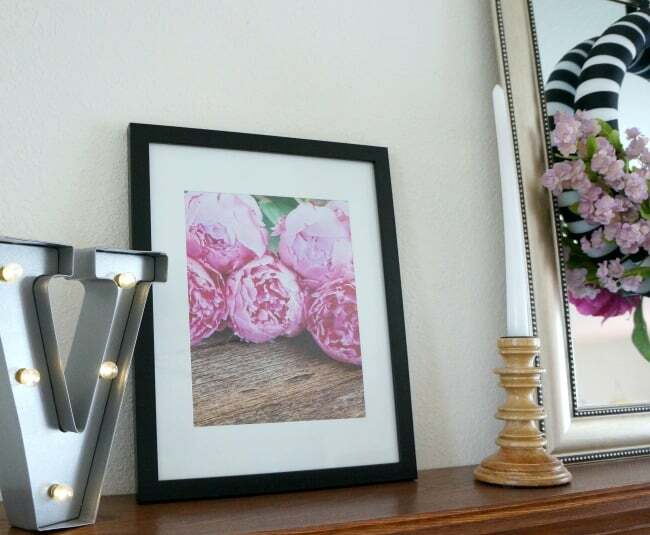 This peony print is from Canva. I am a huge fan of Canva for editing my photos, but I also enjoy their unique photography. I purchased this image for $1 and framed it in a basic black matted frame. I love all the contrast in this mantle and I think I will be keeping it up through summer, or at least for the next month or so. 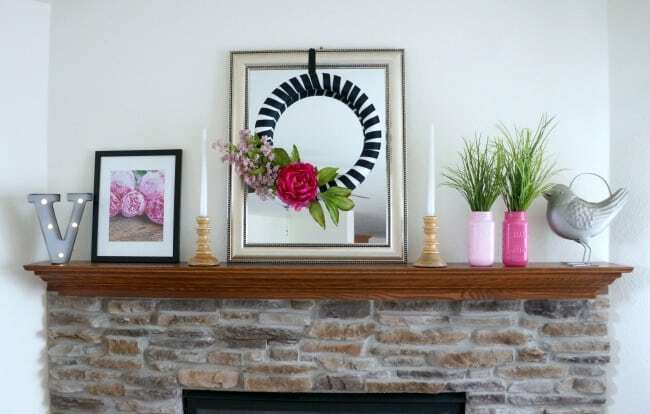 What’s on your mantle this Spring? I love the mason jars! The colors are beautiful. Your mantle looks stunning! Thank you so much Carolann! 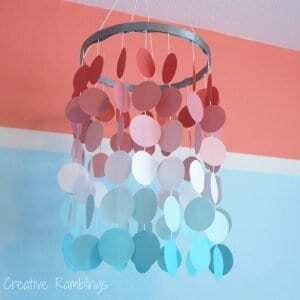 Hey Sarah, one of my all time favorite color combinations and a lovely pop for Spring. 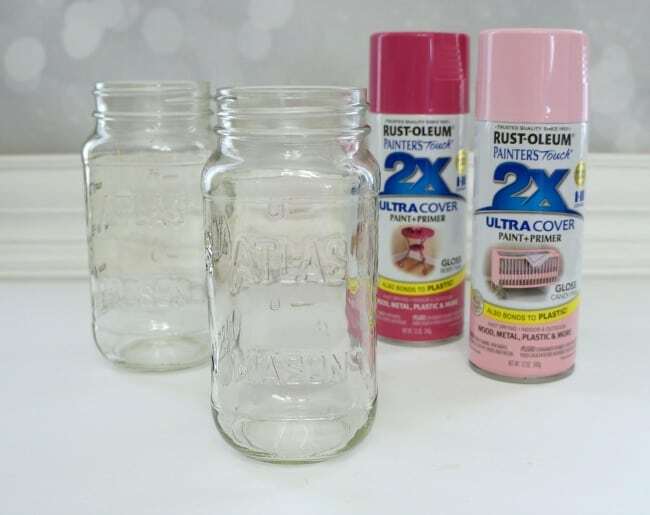 And i am a firm believer that spray paint is one of the miracles of modern science, it really transformed your jars.